Rose essential oil is traditionally calming and has cooling and soothing properties. It works well for skin but also use for healing purpose. yes you can use rose essential oil for healing purpose. just read my article. applying rose oil to the skin led to a greater relaxation response than a placebo oil. applying rose oil mixed with other oils (lavender, clary sage, and almond oil) topically effectively reduced menstrual cramps. the women who received massages had a significantly greater improvement in menopausal symptoms than those who weren’t massaged. 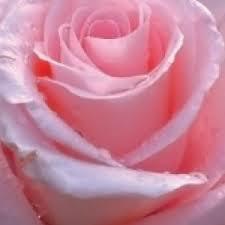 but do you know that rose essential also use in fengshui or vastu shastra for healing purpose ? yes... in feng-shui rose essential oil use for romance and relationship between couples. when there is a need of Improve romance and love between couples, rose oil is used. you can use rose aroma oil in oil diffuser or can use as fragrance or can use rose aroma candles in your bedrooms.